With two babies on the way, I know we'll need help from soothing products like comfy swings and pacifiers. The Nuby Snoozie combines the comfort of a plush toy and soothing of a pacifier all in one. The removable pacifier is made of soft, BPA free silicone and the plush toy comes in several varieties. We have the Monkey for our little ones. Style | Each plush toy has a snap attachment for easy removal of the pacifier. It fits most pacifiers so if the Nuby naturalFlex pacifier needs to be sanitized, another can be put in its place. The Nuby pacifier is made of soft, flexible silicone with a rounded shape that curves away from baby's face to promote air flow. 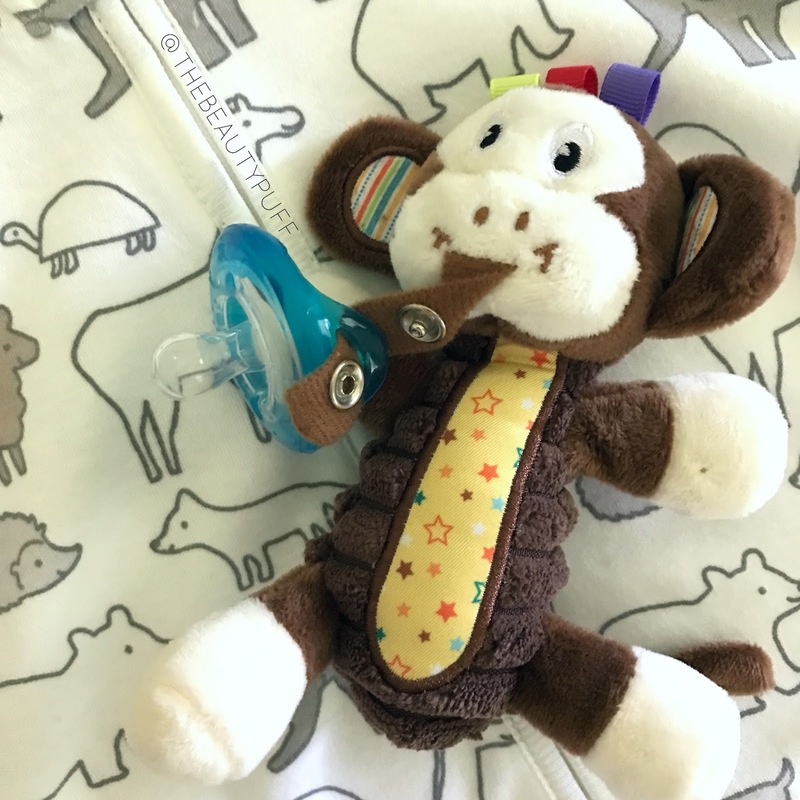 Versatility | As much as I valued the comfort a pacifier provided my daughter when she was little, there came a time when I didn't want to rely on it anymore. The Nuby Snoozie allows you to use the plush with the pacifier as well as without. That way, when your little one outgrows a pacifier, you're still left with an adorable toy they can continue to enjoy. I also like the flexibility of alternating pacifiers. You can buy Nuby's silicone pacifiers separately here. 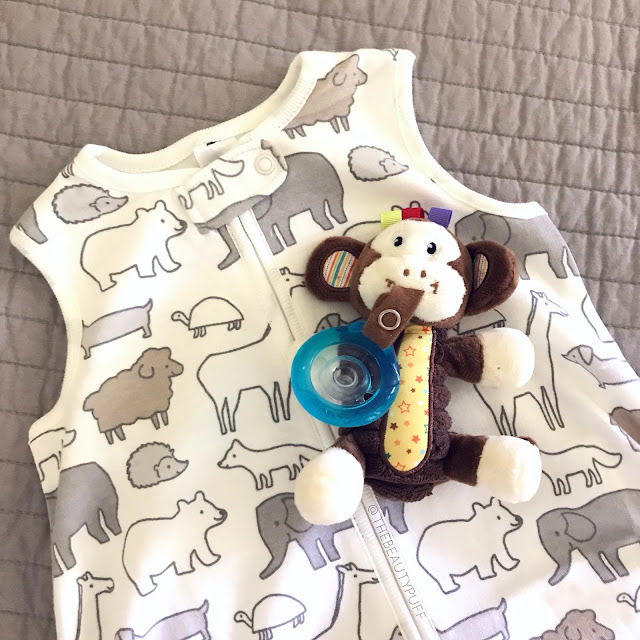 The Nuby Snoozie makes an adorable gift for the expectant mom in your life! Choose from a lion, mouse, elephant, fox and more! Shop below.